Now I already felt like I had really missed something major when my friend Roxy emailed me about Bobby Flay’s Thanksgiving Throwdown show featuring PW on the Food Network. Then my friend Beyer Beware was talking about it on Facebook. My GriggsDakota mom talked with me about it at the farm. Finally, my sister called to say she was making Bobby’s Brussel sprout recipe (complete with her own homemade pomegranate molasses). I had seen the photos from the show on PW’s site but had missed the show due to none other than business travel. But PW’s tweet made me feel looped in and suddenly I knew I had to jump on this enticing recipe to complement the pecan pies I had yet to make. And trying the new recipe also somehow justified my late night Twitter habit! I promptly text messaged my sister-in-law my excitement for the pending release of the recipe. PW’s recipes have never let me down and a sauce to adorn pecan pie was nothing I could look over and not try. By the time we arrived at my sister-in-law’s house on Wednesday the roads were icy along with gusting, howling winds and it was snowing. 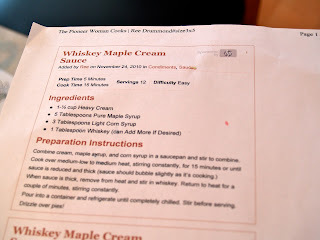 Lori had three of the key ingredients which were cream, maple syrup and light corn syrup but we bundled up and braved to the weather to go out and buy whiskey. Maybe you keep a flask of it around your house…but we don’t. We stood in line behind men buying cases of cheap beer before paying for our one little bottle of whiskey. I think the men had different intentions with their late night alcohol purchases. Of course maybe they had a beer cheese soup recipe they were going home to make…but probably not. 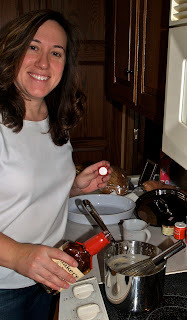 Early Thursday morning, I made two pecan pies while Lori started on our much anticipated PW sauce. 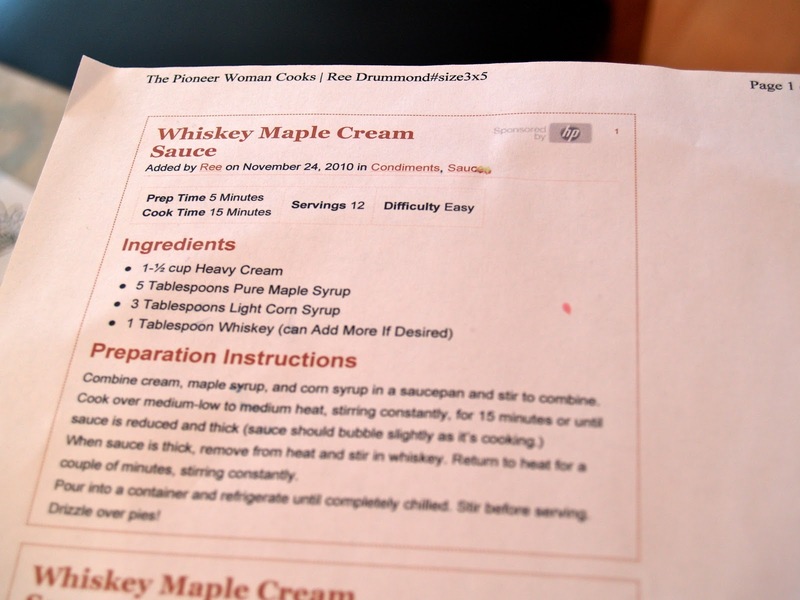 Heavy Cream, Pure Maple Syrup, Light Corn Syrup and Whiskey….specifically I suppose you call it Kentucky Bourbon. Lori added our much anticipated Kentucky bourbon, Maker’s Mark. After tasting the final product we joked we were pouring it all over our entire plates of Thanksgiving dinner. It was purely perfect. Simply divine. I ate about six pieces of pie like this over the weekend with more and more sauce on each piece. The only problem is now that it is gone. I am dreaming about when I will make it next. 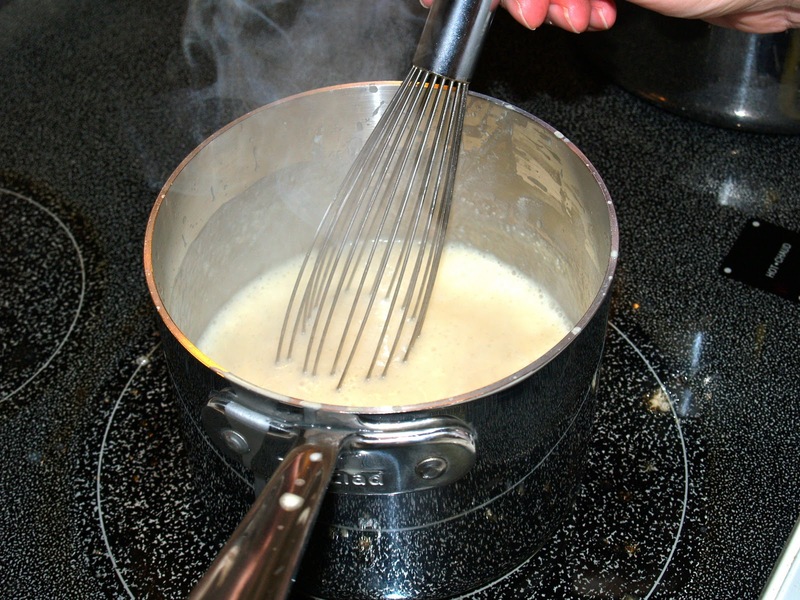 I don’t know how I ever lived with out Whiskey Maple Cream Sauce but my life is so much enriched now for it. Thanks to Twitter, Pioneer Woman and a late night run to buy whiskey in a snow storm. 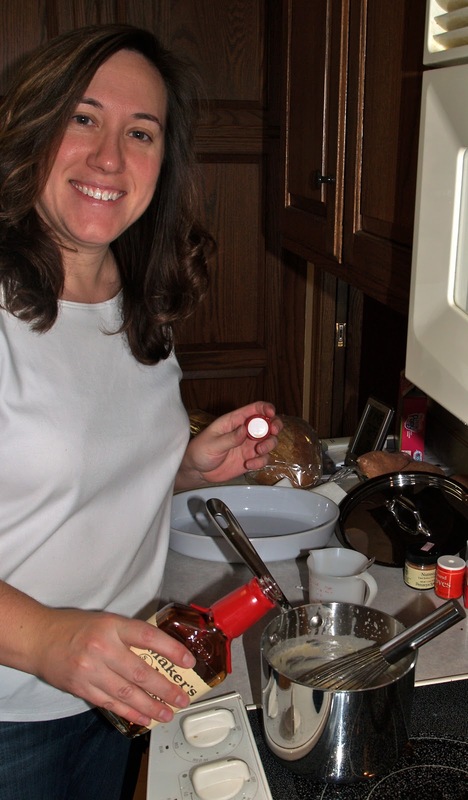 What’s your favorite Pioneer Woman recipe? After completely over-indulging over the past week I would have sworn that I would never eat again. However, this post has me thinking of a reason to bake a pecan pie and make this sauce. Yummo!! Well, that looks mouth watering! I DVR’d the Throwdown with P.W. & Bobby Flay but haven’t watched it yet…trying to find a spare 2 hours! You made me really hungry!! That looks so good! I copied the recipe from your picture! Thanks! Mail it to me now. Sister, we need to live a lot closer together. You had me at Whiskey… haha! I wanted to make this recipe and now I will have too!! Makes me want to go out and get a BIG bottle of whiskey and make some serious batches of this sauce!! Yummy!! Love your story telling about your adventure with Lori, too!! Fun times!! Too funny! I am dreaming about how many things I can cover in this sauce. And while I have not made it yet I have grand intentions. I also have intentions of wathcing the rest of the PW Throwdown since I had to leave befoer the end. Don’t tell me. I still do not know who won but I have a good idea. Thanks for your psot. I needed the encouragment!